Hoare Lea, MEP design engineering subcontractor on Doha Green line project in Qatar project consisted of 44 kilometers of tunnel and was estimated to take 880 man hours to deliver the required BIM model. Our process had an estimated cost reduction for our client saving up to 90% on design engineering time. The project information manager specified that the design is delivered in Revit file format which had cost implications for our client including platform licence and staff training overheads. Project risks identified included human error, cost of design rework and modelling complications due to large BIM model sizes. 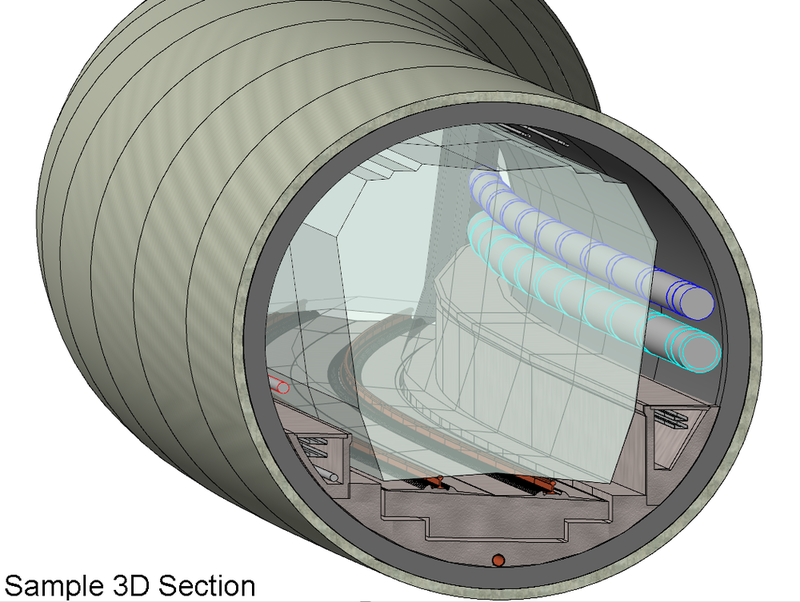 Using the design requirements for the design teams, we created an easy to use system that guided non-technical users through the process of creating valid tunnel design configurations for mechanical, electrical and public health models. Our system used a BIM Launcher parametric associative modelling platform at its core that was custom configured for each design team. Designers and engineers could focus on high level design, rather than the mechanics of the drawing technology. With BIM Launcher automated design methods our client could collectively update tunnel designs instantly and provide designers with instant feedback eliminating manual or repetitive tasks, increasing speed and consistency, and condensing processes to one or two mouse clicks.